The pancreas is responsible for secreting the hormones that regulate and control blood sugar levels. These hormones are called glucagon and insulin. This makes the pancreas a part of both the endocrine glandular system and the exocrine glandular system. The hormones are produced by islets called islets of Langherhans found all over the pancreas. These islets are scattered all over the body and the tail of the pancreas. They’re filled with Alpha and Beta cells which are the reasons why hormones are secreted. The Alpha cells produce glucagon, and the Beta cells secrete insulin. Glucagon impacts on insulin because it stokes the liver to convert glycogen into sugar or glucose. The insulin-producing Alpha cells track the response and monitor the amount of sugar in the bloodstream. Too much glucagon results to hypoglycemia or high blood sugar. The insulin affects the human body in a way that is directly contradictory to glucagon. Insulin decreases the blood sugar level. Insulin conducts the initial entrance of glucose to the cell membranes. This action by glucose is largely important to the muscular and adipose cells. Insulin also helps with the conversion of glucose into glycogen in the liver. This gives way to the absorption of amino acids into the cells, leading to the formation of proteins and fats. Insufficient insulin production by the Beta cells trigger the onset of diseases like diabetes. The pancreas is a soft organ that’s formed by lobes. It’s a mixed gland that measures 1 inch by 6 inches. The pancreas serves both the endocrine and the exocrine systems. The endocrine functions of the pancreas are managed by the islets of Langerhans. The hormones secreted by the pancreas are crucial to maintaining homeostasis in the human body. The exocrine functions depend on pancreatic juices. They are found within the pancreas, and they are transported to the pancreatic duct, and from there to the duodenum. The pancreas can be found along the posterior wall of the abdominal cavity, against the stomach. It starts near the duodenum. It ends near the spleen. The whole pancreas, except for the head, is retroperitoneal. The exocrine units for secretion are found in the pancreatic lobules. These units are also referred to as the pancreatic acini. The pancreatic islet cells (or the endocrine secretion units) are found next to the exocrine units. The acini produce pancreatic juice, and each acinus contains one layer of epithelial acinar cells. Innervation to the pancreas is done by the branches from the celiac plexus. The glandular functional segment of the pancreas gets the parasympathetic innervation while the blood vessels receive the sympathetic innervation. 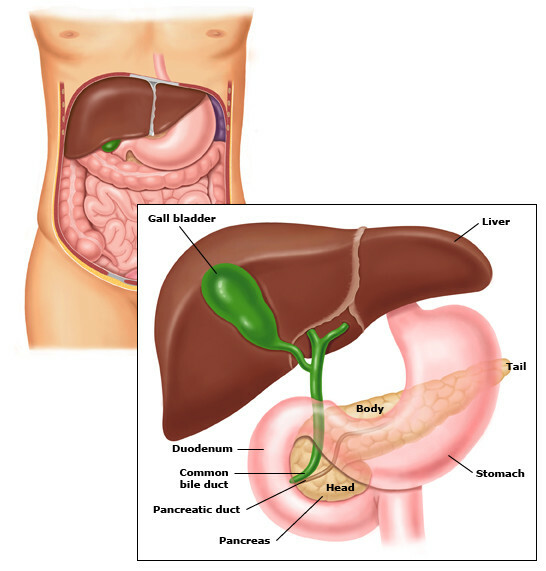 The pancreas get blood supply from the splenic artery, a branch of the celiac artery. The pancreatoduodenal artery (from the superior mesenteric artery) also provides blood flow to the pancreas. Venous drainage happens from the splenic and superior mesenteric veins. They, then, deliver the blood into the hepatic portal vein.